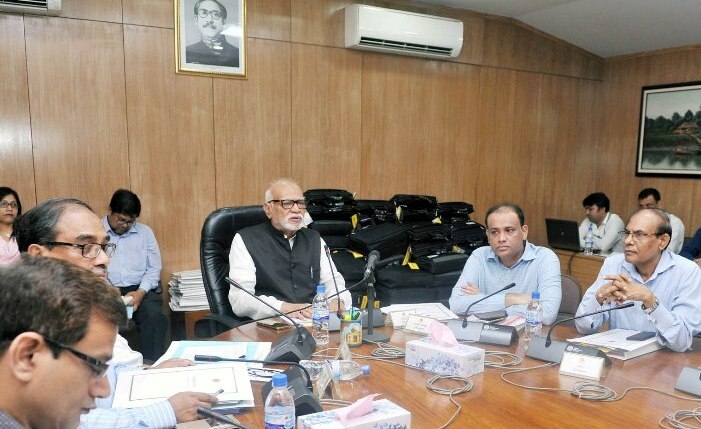 Land Minister Shamsur Rahman Sherif has asked the Deputy Commissioners (DCs) to take necessary steps to stop corruption and irregularities in land offices, UNB reports. The Minister also asked the DCs to strictly monitor and implement the services for the people so that they can get corruption free land management services. Sherif came up with the instruction on Thursday while talking to reporters after attending the first working session of the 3rd day of the three-day Deputy Commissioners' conference at the Cabinet Division. The work for making the land management into digital one is underway to prevent any kind of corruption and harassment in the country's land service sector, he said.